IBM® PowerSC provides a security and compliance solution that is optimized for virtualized environments on IBM Power Systems™ servers, running IBM PowerVM® and IBM AIX®. Security control and compliance are some of the key components that are needed to defend the virtualized data center and cloud infrastructure against ever evolving new threats. The IBM business-driven approach to enterprise security used in conjunction with solutions such as PowerSC makes IBM the premier security vendor in the market today. 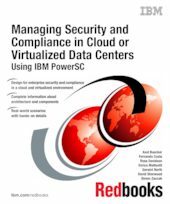 This IBM Redbooks® deliverable helps IT and Security managers, architects, and consultants to strengthen their security and compliance posture in a virtualized environment running IBM PowerVM.